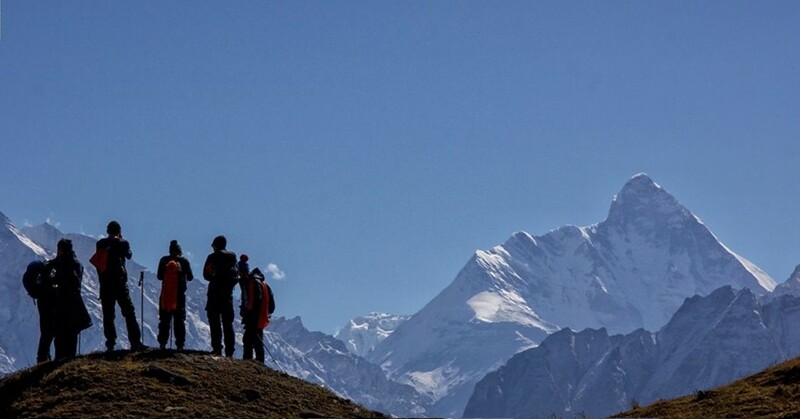 Choose from the top five day treks in India, from Himachal Pradesh, Uttarakhand, Spiti, etc. All these treks are suitable for fit beginners and most are possible to do in winter or summer. A five day trek in India gives you a camping and trekking adventure without requiring too much leave time or expense. Depending on the trek you choose, you will wander deep into the Himalayas, leaving behind the noise and pollution of civilization, to discover glorious mountain views. These five day treks can be done in almost all seasons, and most are suitable for beginners. In the summer, these treks are delightful, with cool green pine forests to explore and sparkling rivers and streams to admire. In winter, a blanket of snow covers the land, making it even more gorgeous. Read about these Easy Snow Treks for Beginners. Kedarkantha is a beautiful ridge peak in Uttarakhand, and is one of the top 5 day treks in India. It takes you to some of the most beautiful campsites in the state, including Juda ka Talab, a small pond that lies in the middle of a pine forest. At 12,500 feet, the 5 day trek to Kedarkantha summit offers stunning 360-degree views of some of the highest Himalayan peaks like Bandarpoonch, Swargarohini, and Black Pearl. This trail is open almost all year round, but between December and March, the landscape turns from beautiful to spectacular. A 5 day trek in the snow to Kedarkantha will take you along a trail that is completely covered with thick, pure white snow. You’ll walk through forests of pine and oak, with the trees weighed down with snow. The Juda ka Talab pond completely freezes over and is absolutely gorgeous. Spend 5 days on the trek to Kedarkantha, a mesmerizing journey over a relatively easy trail. The Kedarkantha peak, located in the mountains of the Tons River valley, is a towering ridge peak offering stunning views of the Indian Himalayas. A popular winter trekking destination, the peak draws in adventure enthusiasts from all over the country. In winters, the pristine, white snow layering the entire valley turn the destination into an icy paradise. From an altitude of over 12,600 feet in the mountains, the peak of Kedarkantha offers unmatched views of sacred Himalayan giants like the Swargarohini, Banderpooch, Black and Ranglana. NOTE: A minimum of 4 travellers are required to book this trip. Personal expenses like tips, medicines, phone calls etc. Kedarkantha is a popular trekking destination located in the Himalayas in Uttarakhand, and is suitable for first-time trekkers too. With an easy trekking distance of about 9 km per day, this 5 day Kedarkantha trek takes you to a height of 12,500 feet to the peak. You'll make your way through forests of oak, birch and deodar or Himalayan cedar, and get views of several Himalayan peaks, as well as the Gangotri and Yamunotri ranges. One of the highlights of the Kedarkantha trek is the night at Juda ka Talab, a beautiful lake surrounded by trees and snowy meadows. One of the top 5 day treks in the north of India, the Hampta Pass and Chandratal trek has many highlights. It takes you from the green valleys of Kullu into the desolate landscape of Spiti valley. You’ll walk through thick forests, camp in undulating meadows and trek across rocky stretches of land, to a windy mountain pass at 14,100 feet. Catch a glimpse of the Indrasan Peak, and marvel at its massive glacier. The main highlight of this 5 day trek however, is the visit to the turquoise waters of Chandratal Lake. This 5 day trek to Hampta Pass and Chandratal is one of the most fun treks in Himachal Pradesh. It is a moderate trek with some steep stretches, so is suitable for fit beginners. The route starts from the lush greenery of the Kullu Valley, and takes you through the pass into the arid Spiti Valley. You'll see the landscape changing with each day, and will enjoy the change from cool pine forests to rolling expanses of weather-bleached hills. The showstopper however, is the visit to the turquoise Chandratal Lake, where you'll find peace and beauty under the open skies. Porter/mules charges for carrying personal luggage. The Hampta Pass trek is one of the most well-known treks in Himachal Pradesh. The reason that so many people love the Hampta Pass trek is that it isn't too hard, but takes you to 14,000 feet in just 5 days. In addition, you get to experience all the adrenalin of scrambling over glaciers, navigating a challenging section at the pass, and walking over snowy patches and rocky stretches. The gorgeous Valley of Flowers in Uttarakhand is one of the best loved 5 day treks in India. It is located within the Nanda Devi National Park in the far interiors of the Garhwal Himalayas. Every year, over 300 species of wildflowers bloom across the valley, and it takes a moderately easy 5 day trek to explore it. Apart from the flowers, there are waterfalls, glaciers, towering mountains, mighty rivers and quaint villages to be seen, making it a top 5 day trek in India. The months of July and August are the best times to undertake this trek as the flowers are in full bloom during this time. The Valley of Flowers is as close as humans can get to paradise in this lifetime. 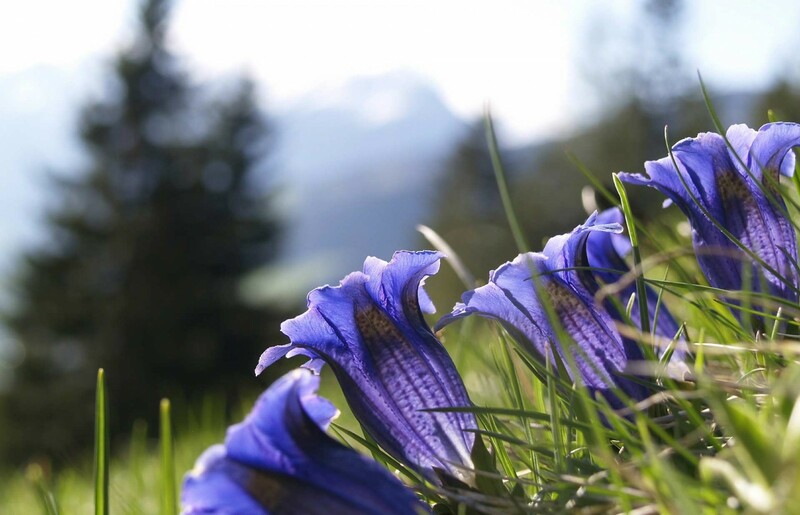 With dozens of new flowers blooming every day, the colours in the valley change every day. This 5 day trek to Valley of Flowers is the perfect introduction to the state of Uttarakhand. Starting off from the holy city of Haridwar, trekkers will drive along a scenic route with the Ganga and Alaknanda rivers for company along the way as you pass through Rudraprayag, Devprayag, Joshimath and other towns to reach Govindghat. Your Valley of Flowers trek offers sweeping, panoramic views of the Garhwal Himalayan mountain range, but the highlight is undoubtedly the Valley of Flowers. This is a moderate trek and is great for both, first timers as well as experienced trekkers, looking to visit the Valley of Flowers. IMPORTANT: This is a private trip and requires a minimum of 6 people to make a booking. Chopta is a quaint hill station in the Kedarnath wildlife sanctuary and it is popularly known as the 'Mini Switzerland’ of India. 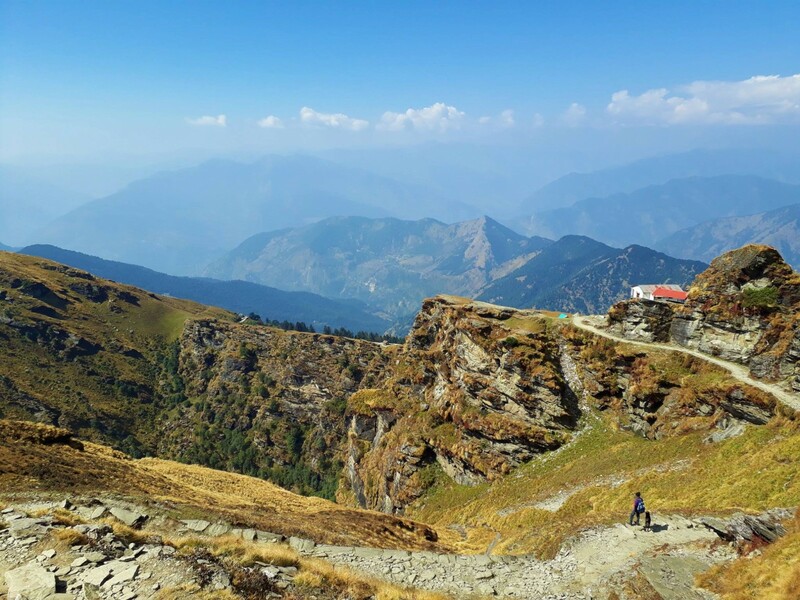 The beautiful 5 day trek to Chopta-Chandrashila-Tungnath region is a favourite for trekkers and thrill seekers, and is one of the top treks in India. The Chandrashila mountain peak is a summit of 13,123 feet and is home to Tungnath, the highest Shiva temple in the world. This 5 day trek is a moderately easy one, but the Chandrashila climb gives you the fun experience of trekking a small peak. The best time to visit is from April to November, however this 5 day trek is also popular during the winter because of its snowy beauty. 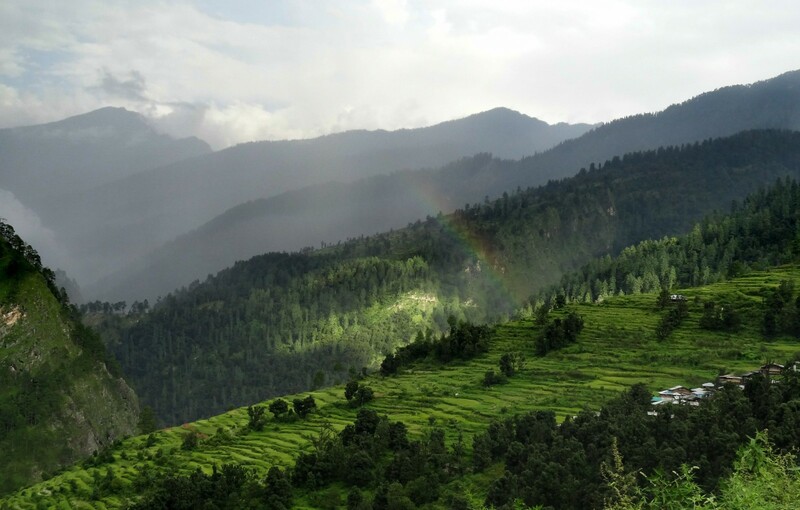 This unique package allows you to enjoy the gorgeous mountain scenery and greenery of Chopta, with all the comforts of a lodge stay. You'll stay in a charming lodge in Sari village, about 15 minutes from Deoriatal. 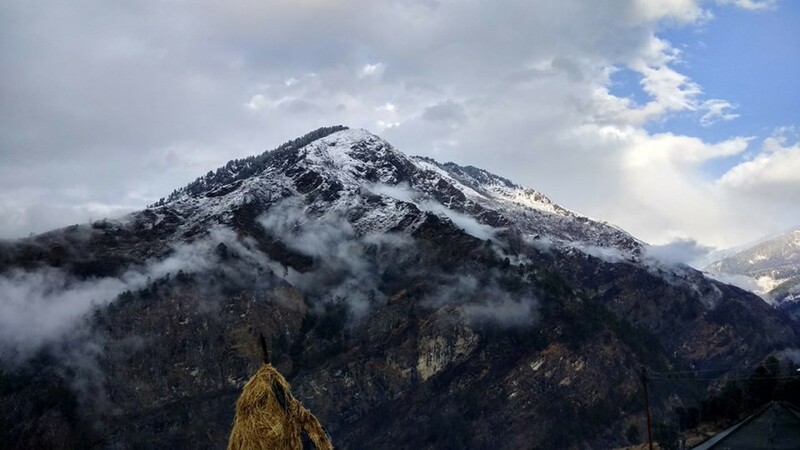 Every day, you'll set out to explore the area around Sari: a sunrise trek to the mirror-like Deoriatal, a hike to the rolling hills of Chopta, and onwards to Tungnath, the highest Shiva temple in the world. If you're up for it, you can even take on the climb to Chandrashila Peak, which is almost 13,000 feet high. NOTE: The property is located about 500 metres above the main road in Sari village. You will have to walk up about 10-15 minutes to get here. Dodital is a gorgeous emerald green lake in Uttarakhand, at the end of a scenic trek through pine and oak forests. This trek takes you along the banks of the Assi Ganga river, allows you a chance to camp next to the lake, and gives you spectacular views of the peaks of Draupadi ka Danda and Srikanth. If there is a place that can be described as picture-perfect, Dodital is it. Dodital or Emerald Lake does total justice to its name as it reflects its lush surroundings, glowing green with specks of clouds from the sky. This trek is a bird watcher’s paradise as it winds through oak and pine forests that are home to a variety of birds. This section of the trail is a delight, with fresh clean air and birdsong all around. While the lake is a serene haven, the trek to the top is an adventurous one as you camp beside the riverside, walk through Himalayan villages and ascend to over 10,000 feet to capture magnificent views of the peaks around! Auli is popular winter destination attracting travellers from all around the world. Here, the winter season brings with it adequate snowfall, blanketing every meadow and mountain in sight with a thick layer of snow. The smooth powder of snow over the slopes of Auli have also turned it into a popular skiing destination. Surrounded by sprawling acres of overgrown forests, with nature trails meandering through the Himalayan wilderness, the town of Auli offers multiple, amazing treks. Thachi Valley, an off-beat destination in the heart of Himachal Pradesh, is perched between the mountains that overlook the Great Himalayan National Park. On the trek, you'll spend five days in Thachi Valley trekking to a plethora of local destinations from temples and waterfalls to grasslands and river streams. The highlight of the trek is the visit to Gaun Beed, a towering waterfall that is hidden deep in the folds of mountains. Spend five days in the mesmerizing mountains of the Thachi Valley and explore the hidden views and sights of the valley at a leisurely pace. This trip gives you the complete Thachi Valley experience by combining a trek to the Gaun Beed Waterfall with short treks to explore a range of local destinations. You'll trek to the peaks of Hadima and Chanjwala, visit the Bithu Narayan temple, dip your feet into the Ashu Alli water stream and get drenched at the Gaun Beed Waterfall. You'll also hike across the never ending grasslands of Saponi Dhar and Sheeta Dhar, visit the Shiva temple at Gharl Saw and the sacred temple of Bada Devo. An outdoors adventure over rustic trails, you'll stop at vantage points along the way and spend the night in tents surrounded by apple orchards. NOTE: A minimum of 6 travellers are required to book this Gaun Beed Waterfall trek. Located at an altitude of 13,451 feet, the Tirthan Valley is formed by the path of the Tirthan river as it flows down from Hanskund glacier, in the Great Himalayan National Park. The valley is full of pine forests, hidden waterfalls, and gorgeous nature. Trekking here takes you past quaint villages, gently rolling slopes, craggy peaks, and sparkling rivers. It's the perfect getaway for trekkers and nature lovers looking to get lost in the mountains. The Ookhal trek combines stunning views, rambling through golden meadows, exploring oak forests, and camping at spectacular sites, including at a hidden lake! You'll trek through a high altitude pass, and if you have the time and energy, you'll also trek up to Marahni peak. This trek is possible for fit first-timers, but it is recommended that you have done a couple of treks before booking the Ookhal trek. You'll be camping in fun tunnel tents with two 'rooms' and an enclosed porch area to store your luggage. Every day, you'll eat delicious meals, enjoy merry campfires and chilly evenings, and sleep in spacious tents with comfy air mattresses and soft sleeping bags. IMPORTANT: This is not a fixed departure so a minimum of 4 travellers is required to book this trip. Park entry permit when applicable. This easy trek (although it has some steep inclines) to Shilt Hut combines a visit and stay near the charming Shilt Hut, as well as a climb to Rakhundi Peak. The peak is 11,800 feet tall, giving you beautiful views of the Tirthan Valley, as well as a chance to spot rare wildlife like the peacock-like Monal, the Goral deer or even (if you're lucky!) the Himalayan Black Bear. You'll pass some quaint villages, sparkling waterfalls, bamboo forests and thick jungles. This 5 day trek through the interiors of the Great Himalayan National Park takes you to Marahni Peak, from where you'll get 360-degree views of the entire Tirthan valley and the peaks around. You'll trek through glorious landscapes, conquer the peak, and then trek down to the Tirthan river, where you'll set up camp for one night. Manali is a popular tourist destination at any time of the year, but during the winters, it takes on a dreamlike quality. Snow covers the ground and turns the pine groves white, and the sounds of this bustling hamlet are muffled. On this adventure, you'll explore iconic landmarks around Manali, like Hadimba temple, Jogni waterfall, Vashisht hot springs, etc. Manali is a popular tourist destination at any time of the year, but during the winters, it takes on a dreamlike quality. Snow covers the ground and turns the pine groves white, and the sounds of this bustling hamlet are muffled. On this adventure, you'll explore some of the most iconic landmarks around Manali. You'll trek up through Solang Pass, with wide vistas of snow-covered terrain all around. You'll visit some quaint Himalayan villages, meeting the locals there. 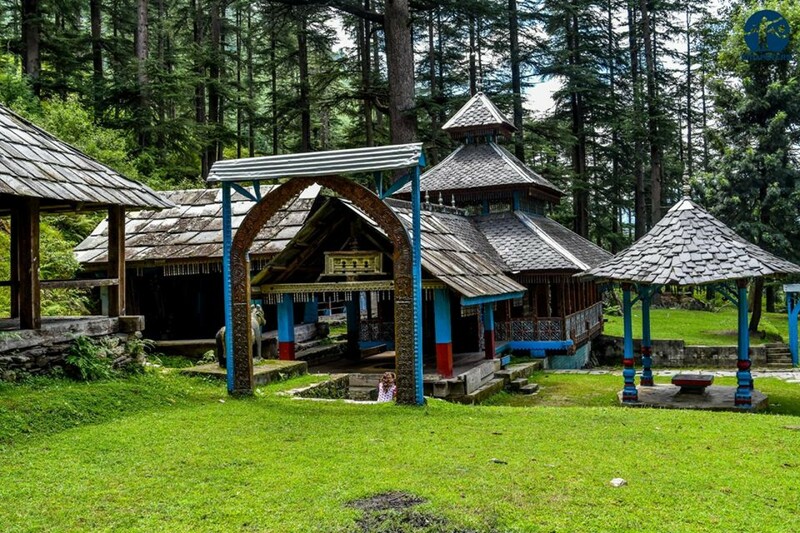 You'll also visit the famous Hadimba temple, Jogni waterfall, and Vashisht hot springs, and all this, with the gorgeous snow-capped peaks around you. IMPORTANT: This is not a fixed departure trip. It requires a minimum of 4 pax for a booking confirmation. If you're looking for a snow trek, there's no better place than Dalhousie. For decades now, this scenic hill station has attracted those looking for a winter experience. The snowfall in Dalhousie is said to be the most beautiful, and you'll be visiting at the perfect time. Dalhousie is surrounded by thick pine and oak forests, with branches weighed down with snow. It's also perfectly positioned to give you spectacular views of snow-capped mountains. If you're looking for a snow trek, there's no better place than Dalhousie. For decades now, this scenic hill station has attracted those looking for a winter experience. The snowfall in Dalhousie is said to be the most beautiful, and you'll be visiting at the perfect time. Passing through dense pine, oak, and deodar forests, this trail is packed with adventure and excitement. You get to visit the Kalatop Wild Sanctuary, which is a high altitude forest offering spectacular views of the surrounding areas. If you're lucky, you might be able to spot some of the Himalayan wildlife in this park, maybe even the Himalayan Black Bear! You'll also get to explore Khajjiar, popularly know as the mini Switzerland of India. This small hamlet is gorgeous any time of year, but in the winter, when it's almost buried in snow, it looks just like a Christmas postcard. Personal expenses towards tips, telephone calls, laundry, beverage. etc. This moderately challenging 4 night, 5 day adventure in the Dhauladhar Himalayas takes you into the lesser frequented slopes of the Himalayas. Your trek route takes you through forests, along rivers, and up to the snow point, where you'll get to explore the landscape and play in the snow. The views of the black mountains topped with pristine white snow will stay with you forever. You'll start with a day of adventure activities like wall climbing, commando net, flying fox and rappelling to get those muscles warmed up and to acclimatise to the weather. After that, you begin your trek into the Handi forest. During the snow season, this forest is like a winter wonderland, with a gurgling river that orginates from the glaciers in the upper reaches of the Himalayas, and trees with branches weighed down by snow. You'll trek through untouched terrain during the day, end with soup and a merry campfire every evening, and sleep in tents in the forests at night. IMPORTANT: This package includes the rental of a 35-litre rucksack if you need it. You can safely leave your suitcase/luggage in the cloakroom at the first campsite in Salli while you go camping. Bhrighu Lake is located at an elevation of around 4,300 metres in Kullu district of Himachal Pradesh. Legend has it that Sage Bhrigu used to meditate near the lake and locals believe that this is the reason that the lake never freezes over completely, even in the coldest winter. Bhrigu Lake is one of the few glacial lakes that are easily accessible, and don't require days of trekking to get to. From Bhrigu Lake, you can also see peaks like Makarbeh, Shakarbeh, Hanuman Peak, Shitidhar, and more. The Bhrigu Lake trek is idyllic in summer, as it takes you through high altitude alpine meadows, along trails dotted with wildflowers, with sheep grazing nearby. This peaceful setting is perfect to set the mood for your visit to Bhrigu Lake. The lake nestles in a hollow at an altitude of 14,100 feet, in the middle of a meadow. Every day, depending on the weather, the lake changes colour, turning a deep royal blue on some days, and shimmering green on other days. Bhrigu Lake is one of the few glacial lakes that are easily accessible, and don't require days of trekking to get to. From Bhrigu Lake, you can also see peaks like Makarbeh, Shakarbeh, Hanuman Peak, Shitidhar, and more. The Spiti Valley homestay trek takes you from Kaza to Ki Monastery and Kibber village, and to places with exotic names like Langza, Komik, Demul, Lalung, and Dhankar. You'll visit some of the highest villages in the world, visit 1000-year-old monasteries and go to the highest post office in the world. The Spiti Valley trek allows you to unravel the many mysteries of Spiti, as you walk through the dramatic landscape on foot. You'll have an easy trek of 4 hours each day, and can explore some of the highest villages of the world, visit 1000-year-old monasteries and go to the highest post office in the world. Every evening brings a new experience in a homestay: you can choose to learn pottery one evening, go on a yak ride, learn how to make momos, or enjoy the songs of the locals (none of these activities are included in the package, and are all optional). You will eat home-cooked meals every night, and learn about the lives of the simple Spiti folk. By the end of these five days, Spiti will be a part of you forever. IMPORTANT: The Spiti Valley trek begins early on the first day. It is recommended that you arrive in Kaza a day or two earlier so you don't miss the trek departure, and so that you have time to acclimatize. Located in the magical kingdom of Ladakh, the Chadar trek takes you over the surface of the frozen Zanskar river. It is a unique trek that takes place in the coldest part of winter, with temperatures well below zero, and stunning stark landscape all around. Experience the iconic Chadar trek on a short and easy 5-day itinerary. When the months of winter roll over, the roads of Ladakh are blanketed with inches of deep snow. 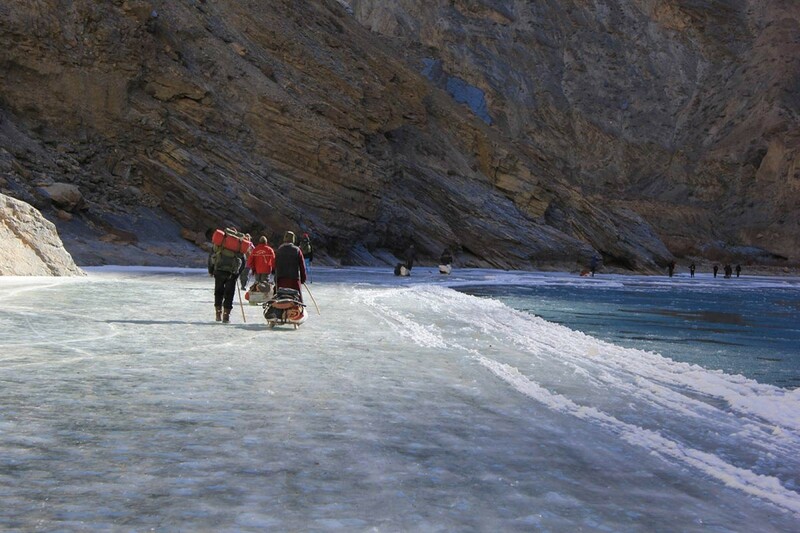 During this season, the only way of travelling across the mountains is by trekking over the frozen Zanskar River. This trek over the thick sheet of ice, past frozen waterfalls and over barren rockfaces is famously known as the Chadar trek. While the complete Chadar trek is a strenous and long expedition, this itinerary gives you the chance to explore the same valley on a short and easy route. Wear your gum boots and embark on one of the most celebrated treks of Ladakh. If you're lucky, you can hear the sheet of ice creaking and groaning under you as it breaks and reforms. A scary sound to be sure, but an incredibly thrilling experience. | NOTE: If you are not cleared in the medical test in Leh, you will not be allowed to join the trek. There are NO refunds in this case, and the operator will not be liable to make alternate arrangements for your time in Leh.